A tiny poodle has been mauled to death by two other dogs in what appears to be a second ‘blooding’ incident in Lurgan. The heartbroken family of little Benji have urged dog owners to be on their guard after the poodle was horrifically injured on Saturday night. Sharon Henderson posted on Facebook: “So our family pet ... my mummy’s wee dog Benji mauled to death by two dogs in this estate. “This is the second dog this week. “Please please please look after your pets,” said Sharon. “And to those letting their animals roam freely, you should be ashamed of yourselves. “Another little piece of our family gone. Heartbroken to say the least,” she said. 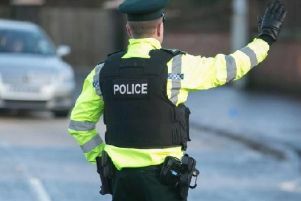 The PSNI in Lurgan said: “Police received a report from a resident in Kilwilkie that a pet dog had been attacked by two other dogs in the estate on Saturday. Just last week two young children were left traumatised after their pet dog Woody was set upon by a pack of blood-thirsty lurchers. The young family woke up from their sleep at around 2am Tuesday morning to the vicious sounds of their dog being attacked in Kilwilkie. It appears a group of young men were setting their lurchers on little Woody who was securely locked up in the garden. After little Benji’s horrific death, many were calling for police action fearing the dogs involved in these attacks are dangerous as well as their owners. There were also concerns that small children may be in danger from these dogs. Over the last number of years, many animals including kittens and dogs have either gone missing or ended up dead or injured due to dog attacks.